Abigail is a little girl who worries about missing her father while he works. Together, they imagine the adventures to be had when the weekend comes. 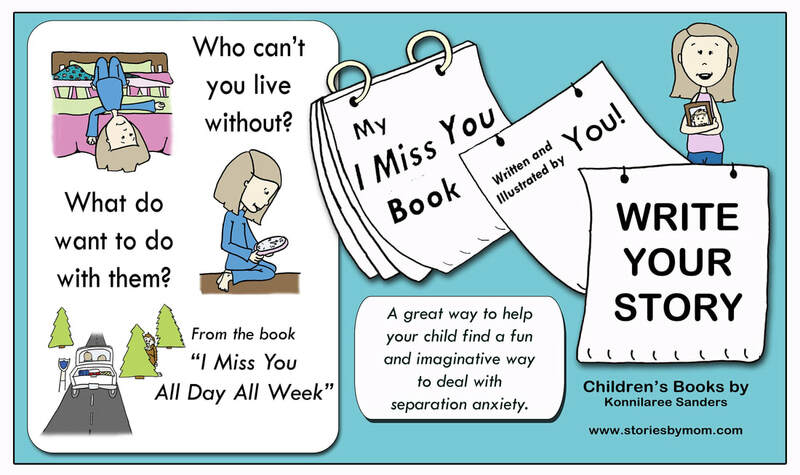 This book helps children with the idea of managing emotions and separation anxiety. 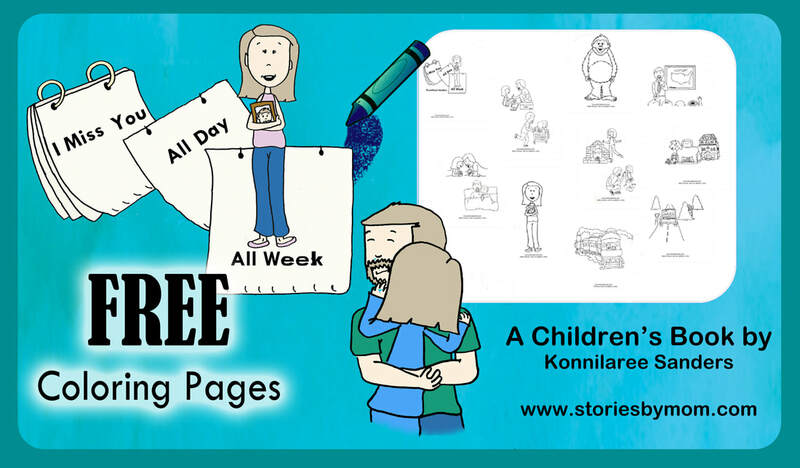 "I Miss You All Day All Week" is a story that combines the difficult emotions of separation anxiety with a child's whimsical imagination to create a fun way to cope with her fears of saying goodbye. The story begins with a sleepless Abigail. She is very worried that she is going to miss her father when he leaves for work in the early morning. They play a game where they imagine the fun adventures they will have when the weekend does come. 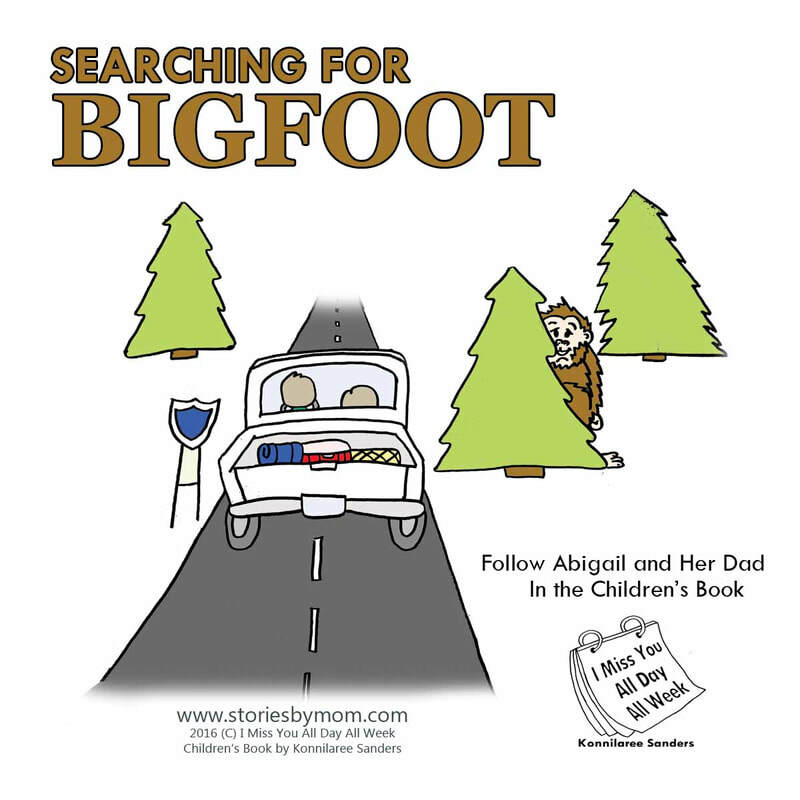 Their adventures span from staying home to cuddle to a road trip adventure to catch Big-Foot. The following morning, after a heartwarming goodbye, she finds out that she can handle the day. Soon enough, they're together again and ready for a real adventure, because it’s the weekend. This book is showing the special bond between a father and daughter, at the same time showing a child a way of managing their emotions and discovering a way to have fun despite life’s disruptions. 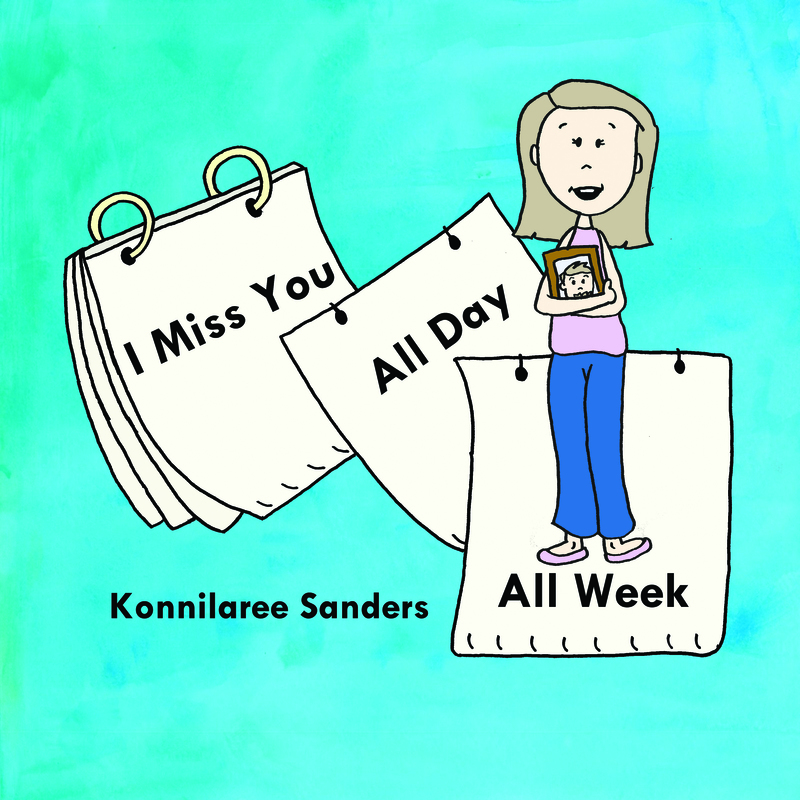 ​“I Miss You All Day All Week” was inspired by my oldest daughter Abigail, who was 4 at the time, and my husband, a teacher. After long school breaks, Abigail’s dad would have to return to school full-time. Abigail couldn’t sleep on these nights as she feared she wouldn’t be able to say goodbye, or that she would miss him too much. She was always worried that it was, “almost early,” or morning time. Her dad often comforted and reassured her that it would be the weekend soon enough. Abigail always talked about things she would like to do with him. She wanted to do all the things she loved, like shopping and painting, but she wanted to include things for him too, like bug watching and block building. They both loved the idea of cuddling, and more importantly, searching for Big Foot. Each sweet exchange ended in, “I love you all day, all week.” A phrase coined by Abigail in an attempt to quantify her love. The writing and drawings followed this touching exchange. Abigail was very proud to help me write this book and even posed for all the pictures and offered her own “professional” opinion. Abigail Posing For "I Miss You All Day All Week"
Review: "I Miss You All Day All Week"
"I just got my copy and read it to my 5-year old. He loved it, he had a smile the whole time." "I'm a nanny and I absolutely loved this book and can't wait to read it to my little ones, it was funny and adorable ! I love your blog and everything your about, I can't wait to see more from you in the future !" "This is by far the cutest book I've ever read!!!" Please complete the form on our review page. ​Also please remember to rate me on Amazon and Good Reads. You support is greatly appreciated!! Please enjoy the first couple of pages from my book. Amazon also has a look inside feature. Check it out.